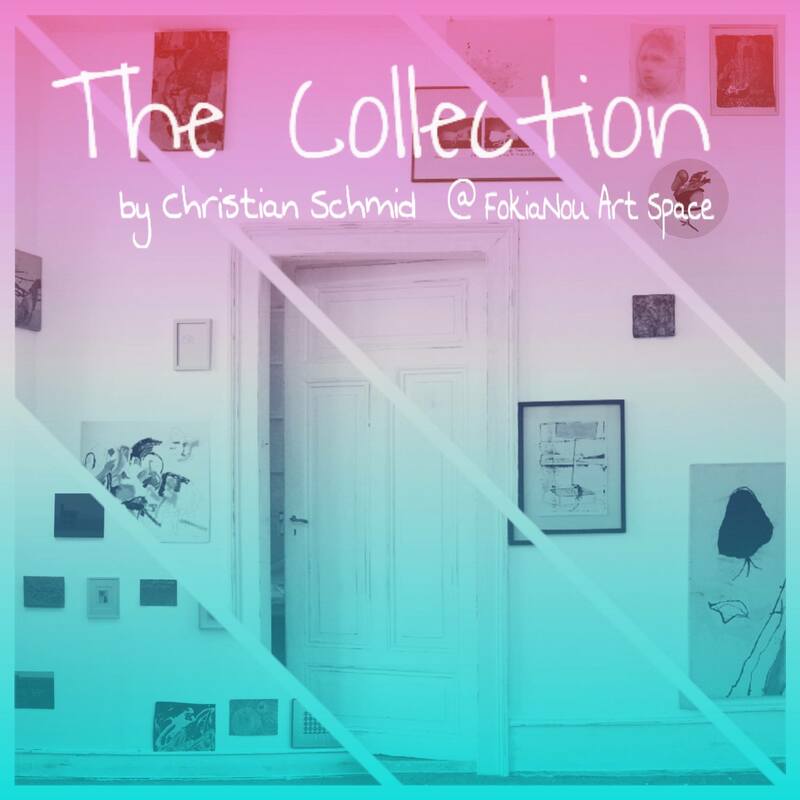 FokiaNou Art Space is pleased to present a group of works collected by artist/gallerist Christian Schmid. Based in Karlsruhe, Germany, Schmid has spent the last two decades amassing a collection of nearly 60 works by artists from Karlsruhe, Cologne, Hamburg, Berlin, Vienna, Zurich, Athens and Boston, mainly by swapping his own work with other artists as well as buying some pieces. Small drawings, paintings, encaustic works, photographs and sculptures make up most of the collection, which also includes ceramic pieces and small installations. The artists bring a variety of approaches and philosophies to their practices, with older, more well-known, sometimes academically influenced artists juxtaposed with younger, unknown and sometimes even self-taught artists. The salon-style hanging creates new connections between these varied works. Schmid’s position as an artist and curator in Karlsruhe has given him a unique opportunity to meet and get to know both the established gallery world and local off-gallery scene, both of which are represented here.